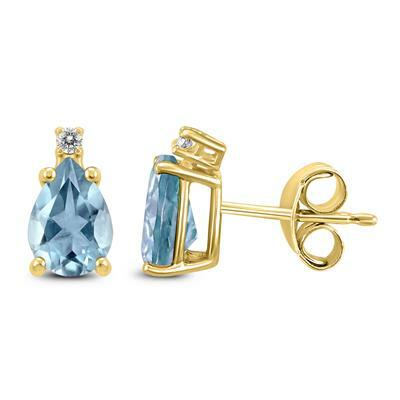 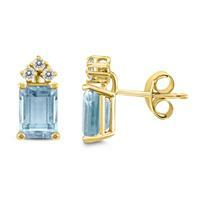 A beautiful pair of 5x3mm pear shaped Aquamarine and diamond earrings set in 14K yellow gold basket settings. 2 diamonds weigh 0.02 carat total weight. The earrings secure on posts with friction backs.